We happily invite you to the upcoming lecture by VAMA-student Ivana Bidikova. In light of the current exhibition Ongekende Schoonheid. Ikonen uit Macedonië (Unknown Beauty. 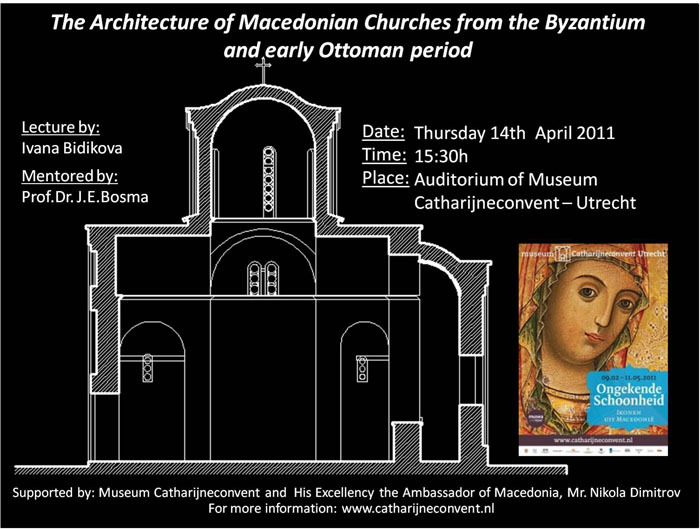 Icons from Macedonia) at the Catharijneconvent in Utrecht, Ivana Bidikova will present her paper The Architecture of Macedonian Churches from the Byzantium and Early Ottoman Period. She will discuss some of the most characteristic churches and review their architectural form, paying particular attention to the interactions between the architecture and the fresco’s housed inside.